Andrew Cuomo attacks Super-PACs - Even his own. HomeAndrew Cuomo attacks Super-PACs - Even his own. Our beloved governor, Andrew Cuomo has come out against Super-PACs, despite the fact that The Committee to Save New York was founded days after Cuomo's election, and has spent millions in advertising that supports Mr. Cuomo's agenda in Albany. While it appears that the group is made up largely of business organizations and local Chambers of Commerce, there isn't any information on who their biggest donors might be. The most disturbing part of their site is the "about us" page which contains a very vague, synopsis of what they are about. This might be confusing to people. The organization originally filed as a political non-profit, and at one point touted themselves as some sort of charitable organization, but refused to file an annual report with the Charities Registration Bureau. After a lot of criticism and pressure from local watch dog groups they relented and filed as a lobbyist with the state. This whole affair seems like a convoluted pile of nonsense, but this is New York politics so there's nothing new to see here...move along. 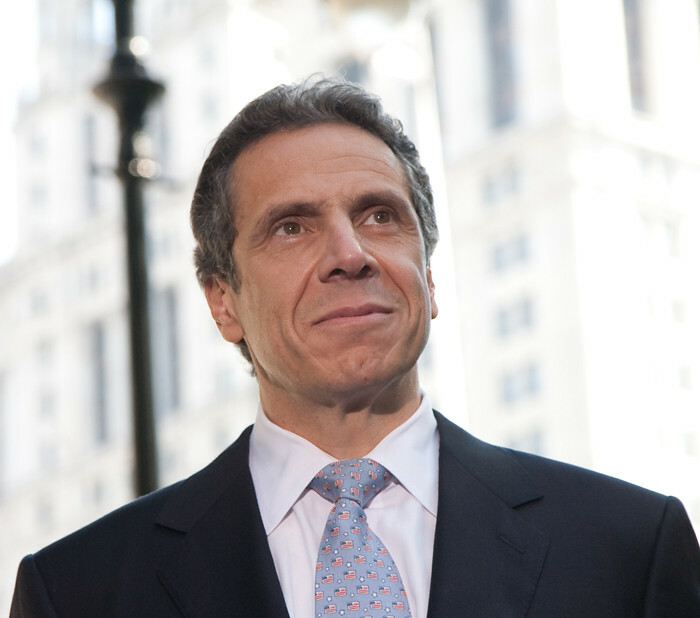 Cuomo, still selling us on his fiscal conservatism and reform minded policies had some words about Super-PAC's recently on the "Capitol Connection" radio program. Sounds like Andy is letting his hypocrisy slip show. While I will freely admit that some of what Andrew Cuomo is doing seems like a step in the right direction, some of his policies seem to under reaching and more symbolic than functional. IF he really wants to impress me, he is going to need to buckle down and throw Albany a curve ball that gets this state thunder-balling in the right direction, as opposed to mouse-ishly scurrying about, appearing to look busy, but only ever finding crumbs of cheese and not the whole block.